The Doe and Buck Relief Carved Wood Cremation Urn is made of solid red oak and red alder with a clear finish that brings out the natural beauty of the wood. 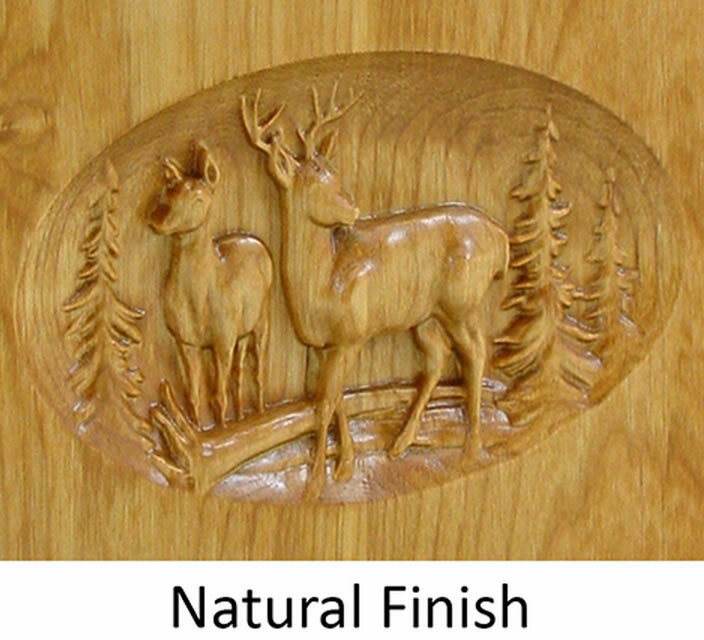 The doe and buck scene is relief carved into the wood making the image three-dimensional. The urn can be personalized with the name, dates, and a short sentiment such as Always In Our Hearts. The urn is bottom-loading with a plate that secures with four screws. 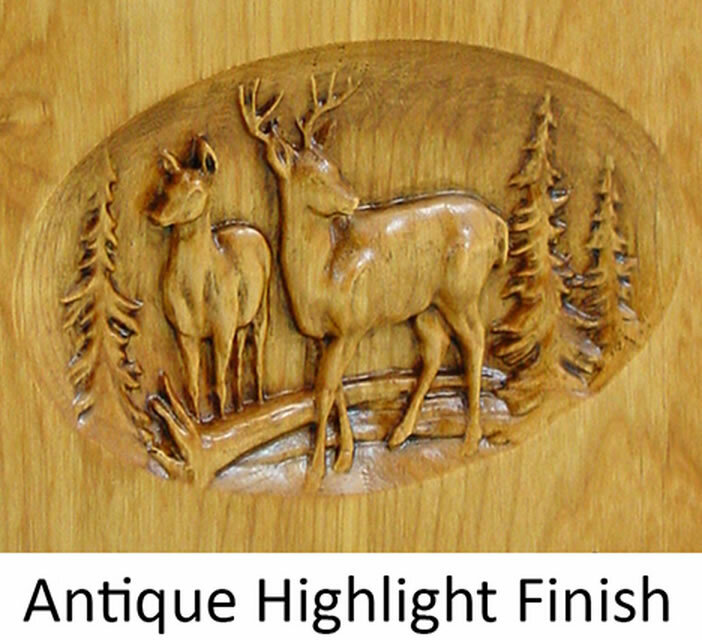 This urn is available in a natural finish or with the deer scene in an antique highlight finish. Please select the finish you want. Please allow 7-10 business days before urns with memory chests ship, even for expedited orders.